Unboxing the Marvel Legends Spider-Ham (Monster Venom BAF) Spider-Man Hasbro Toy – AiPT! 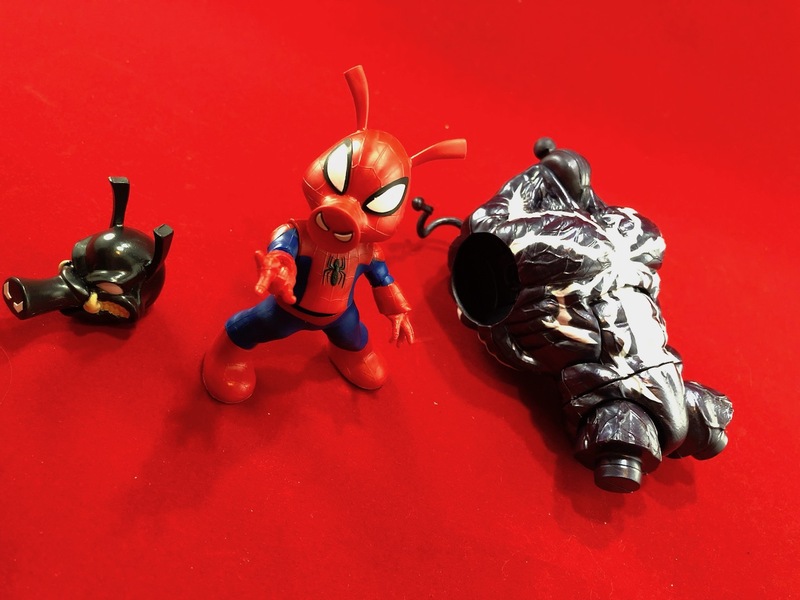 The Spider-Verse gets a little more crowded in our toy sections with a newly released Spider-Ham action figure. This is a cool figure that I honestly never thought they’d make. It’s certainly more of a collectible than an action figure since its points of articulation are so low, but dammit it’s a nice figure to say the least. It also comes with an alternate Symbiote head and a big chunk of the Monster Venom BAF. I can’t imagine non-collectors loving this addition since it’s such an obscure character and not very posable, but it’s a neat addition to the line. This figure can be found in toy stores now or you can pick it up from vendors on Amazon today. An awesome figure any Spider-Man collector will need. More casual fans may not see a reason to buy this beyond the BAF, though.